WHY SHOULD “MADE IN AMERICA” MATTER TO YOU? Let’s start off by acknowledging that your wedding day is a very important day to you. You may have been thinking about this day for years, and possibly planning it for over one year. And you probably realize that many things could go wrong with your wedding day, some of which you may take with a grain of salt (my wedding cake turned out awful, but we made a good laugh out of it). Keeping this in mind, I do not recommend gambling on purchasing wedding invitations or other paper goods (such as laser cut favor boxes for example) from a country that does not speak your native language. You never know what could go wrong with communication. You want to be sure you will receive your product on time, and you will get what you ordered! A MADE IN AMERICA company can give you THE BEST attention when ordering your products, especially for custom designs. No one else can communicate with you and understand you better, than a company here in America. And finally….. wouldn’t you prefer to support our country? Keep the jobs here. By purchasing a product made in America, you are supporting an individual or family. And we thank you for that! Etsy has MANY sellers that are not producing their products in America. Do not be fooled by low prices. Do your homework, and make sure you know where your invitations or other items are being made before you buy them. We hope this little bit of information helps you when you are doing your research for wedding invitations, or other products for your special day! 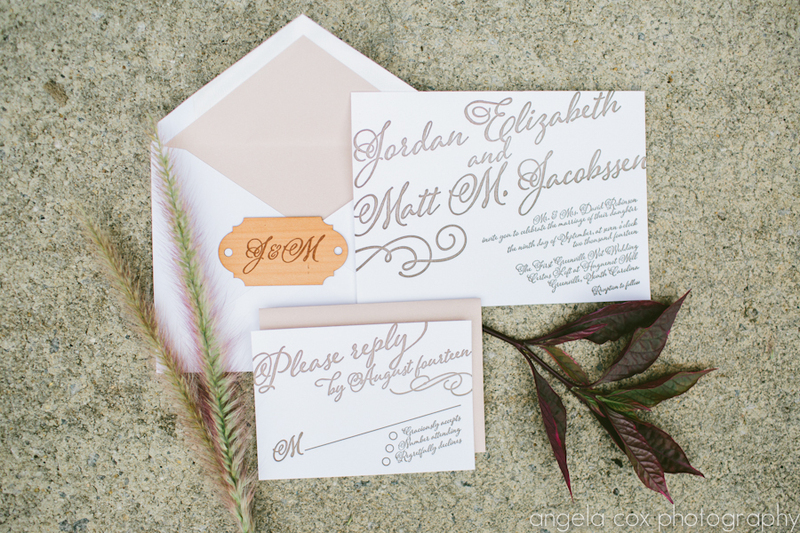 Today our lace laser cut wedding invitations and gold 3D Bride and Groom names were featured on the Swooned blog! You can purchase these items at http://www.sofiainvitations.com. 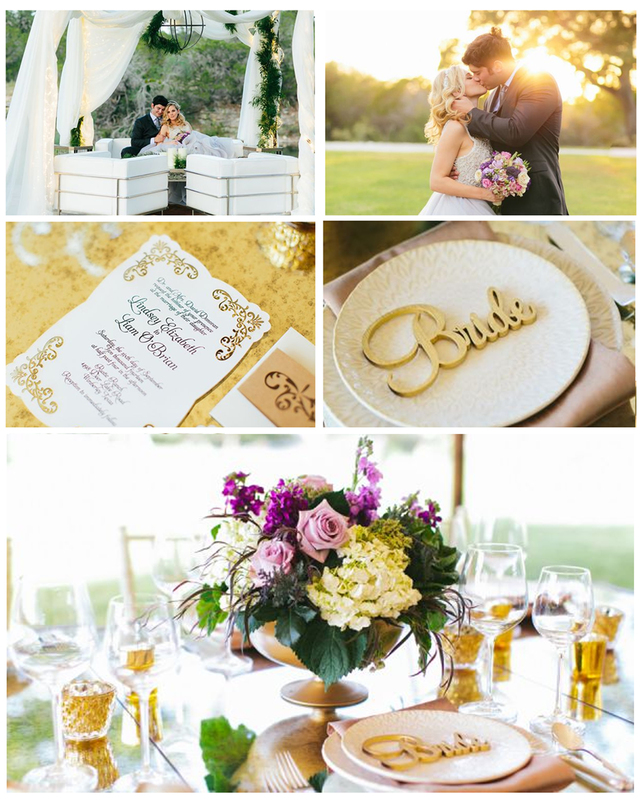 This style shoot was created by Pink Parasol Design and Coordination with photos by Al Gawlik. 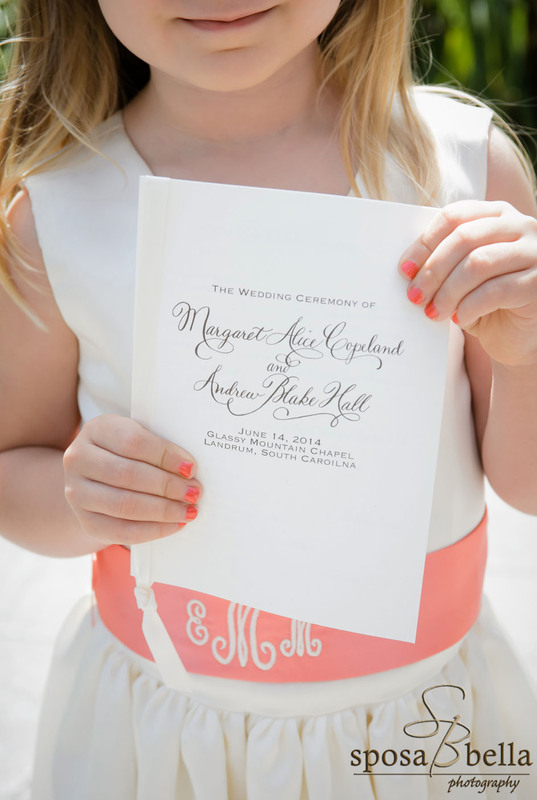 Last week Wedding 101 in Greenville, SC featured photographs from the wedding of Maisie and Andrew…. which Sposa Bella Photography expertly shot, and included a photo of the wedding program I custom designed for them. 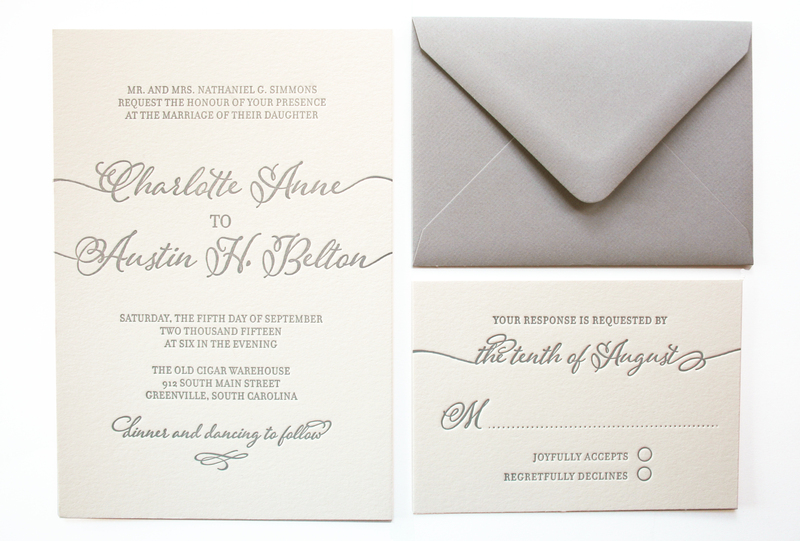 I also worked with a local calligraphy to design their wedding invitations, which we letterpress printed. Here is the photo of the programs, and later I will share a photo of the invitations.